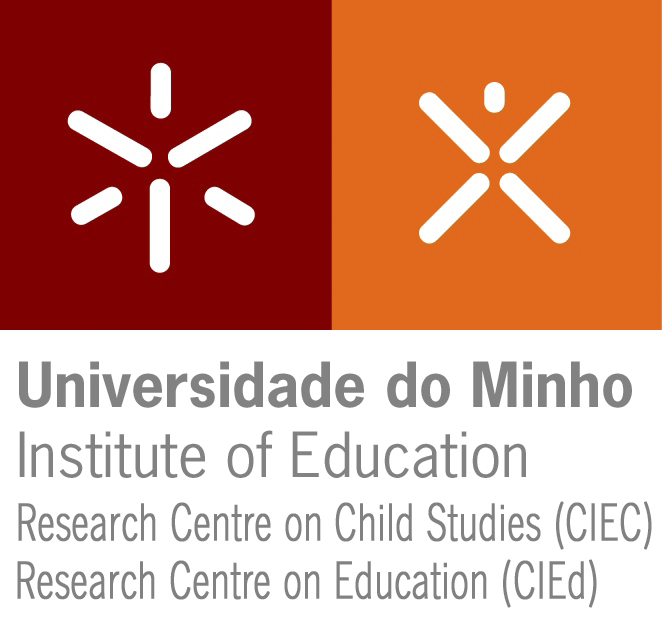 Isabel Carvalho Viana, CIEC researcher, is responsible for the UMinho project, being part of the team with two researchers from CIEd, Ana Maria Serrano and Maria João Gomes. In Portugal, three of the secondary schools are associated with the Francisco de Holanda Training Center (led by Lucinda Palhares): Santos Simões (led by Benjamim Sampaio, with the participation of: Susana Bravo, Cecília Vaz, Manuel Sousa, Ana Spínola , Ana Costa), Fafe (led by Natalia Correia, with the participation of: Rita Leite, António Freitas, Ana Correia, Leonor Castro, Rui Fonseca, António Gonçalves, Carlos Carvalho) and Francisco de Holanda (led by Rosalina Pinheiro, with the participation of: Sandra Machado, Helena Oliveira, Cristina Tomé, João Almeida, Gloria Cardoso). There is also Vizela (led by Abílio Costa, with the participation of: Cristiana Oliveira, Elódia Canteiro, Luísa Pinto, Ana Silva, Maria José Ramos, Graciete Martins) and an non-grouped school - Martins Sarmento Secondary School (led by Ana Maria Silva , with the participation of: José Teixeira, Rosa Dinis, Mariano Sousa, Frederica Sampaio, Carla Menezes, Elisabeth Mendes). In each School Teachers of Vocational and Science and Humanities Courses are involved (1 class of 10th year of each course, respective students and between 3 and 6 teachers of each class, who have made themselves available to participate in the Project with great enthusiasm and expectation) , the Board of the respective Groupings of Schools, and the non-grouped school, and the The Board of the Training Center mentioned above are also involved. Sub-theme 1. | Subtema 1. Papers under this sub-theme focus on issues such as how to articulate curriculum and develop best practices of innovation, including processes, teacher training and curriculum and training policies. Sub-theme 2. | Subtema 2. This sub-theme includes papers related to teachers' inclusion knowledge, relevant skills to be developed by teachers and students and innovative inclusive practices in secondary school. Este subtema inclui comunicações relacionadas com o conhecimento dos professores no que concerne à inclusão de alunos com Necessidades Especiais e às competências relevantes a serem desenvolvidas pelos professores e alunos para o desenvolvimento de práticas inovadoras e inclusivas na escola secundária. Sub-theme 3. | Subtema 3. This sub-theme includes papers related to teacher practices and also to the key distinctive features of teaching for gender equality and educational success, including the prevention of gender violence, highlighting the skills they consider relevant for the teacher to develop curriculum theory and pedagogical practices. Este subtema inclui trabalhos relacionados com as práticas dos professores e também com as principais características do ensino para a igualdade de género e sucesso educativo, incluindo a prevenção da violência de género, destacando as competências consideradas relevantes para o professor desenvolver a teoria do currículo e as práticas pedagógicas. Sub-theme 4. | Subtema 4. This sub-theme focuses on specific issues in teachers' and school leaders' education which should be considered to be key elements in teachers' and school leaders' education: the research practices in cross-curricular teaching. Este subtema centra-se em questões específicas da formação de professores/diretores escolares, que devem ser considerados como elementos-chave na formação de professores/diretores escolares: práticas educativas e de investigação no ensino transversal. Sub-theme 5. | Subtema 5. All over the world, policymakers are concerned to improve education systems towards preparing the future citizens to engage the global economy successfully. Transnational and governmental organizations set education frameworks to steer students to compete in the twenty-first century. The challenge is how to rebuilt school curricula to achieve the holistic and ethical vision of education to conducive a cosmopolitan approach. This sub-theme focuses on policies and practices related to the evaluation of schools, the student's assessment and to teacher curricular decisions and pedagogical practices. Um pouco por todo o mundo, os decisores políticos apontam para a melhoria dos sistemas educativos, numa lógica de preparação dos futuros cidadãos para se envolverem na economia global com sucesso. As organizações transnacionais e governamentais defendem uma arquitetura educativa que oriente os estudantes para a competição que se vive no século XXI. Neste contexto, o desafio é construir currículos escolares que favoreçam uma visão holística e ética na educação, enquadrada numa abordagem cosmopolita. Este subtema foca-se nas políticas e práticas relacionadas com a avaliação das escolas, com a avaliação das aprendizagens (alunos), bem como, com as decisões curriculares e as estratégicas pedagógicas dos docentes. Sub-theme 6. | Subtema 6. This sub-theme focuses on the new spaces and new ways for learning, highlighting the key elements to be considered in teacher training. Este subtema foca os novos espaços e novas formas de aprendizagem, destacando os principais elementos a serem considerados na formação de professores. Sub-theme 7. | Subtema 7. Sustainable Development Goals (SDGs) provide a new framework for global development, within which the position and relevance of health education should be understood. This conceptual framework includes increasing recognition of the social context and gender perspectives in health promotion, the protective role of education in reducing vulnerability to poor health outcomes and the influence and widespread access to the Internet and social media. In this context, this sub-theme encourages dialogue on research and practices with the following main aims: to discuss the interception of health, sexuality, age, gender, ethnicity and other social markers in educational programs, teaching materials and pedagogic devices; to reflect on strategies to include people, with or without disabilities, in programs to promote individual and community health in the context of formal and non-formal education; to think creatively to create networks in the community for health promotion and social inclusion. Os Objetivos de Desenvolvimento Sustentável (ODS) fornecem uma nova rede conceitual para o desenvolvimento global, na qual a posição e relevância da educação para saúde devem ser compreendidas. Essa rede conceitual inclui o crescente reconhecimento do contexto social e das perspectivas de género na promoção da saúde, o papel protetor da educação na redução da vulnerabilidade a resultados de saúde negativos e a influência e amplo acesso à Internet e às media sociais. Neste contexto, este subtema estimula o diálogo sobre investigação e práticas com os seguintes objetivos principais: discutir a interceptação entre saúde, sexualidade, idade, género, etnia e outros marcadores sociais em programas educacionais, materiais didáticos e dispositivos pedagógicos; refletir sobre estratégias para incluir pessoas, com ou sem deficiência, em programas de promoção da saúde individual e comunitária no contexto da educação formal e não formal; pensar criativamente para criar redes na comunidade para promoção da saúde e inclusão social. You can download the poster model of the event by clicking here. Get the presentation model clicking here. not have an account yet, you can create one free of charge. Before submiting, READ CAREFULLY the rules. Wether you are submiting a work or not, you MUST proceed with your registration by clicking here. Payment should be done by bank transfer. Information will be provided in the registration form.